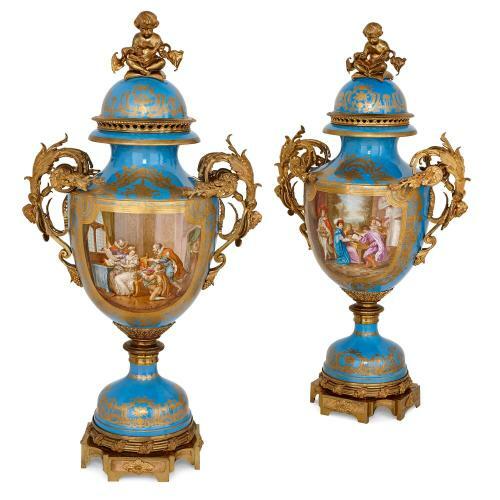 These extraordinary French vases, majestic in size and fit for a palace, feature a vibrant turquoise colour scheme and masterfully executed painted scenes. 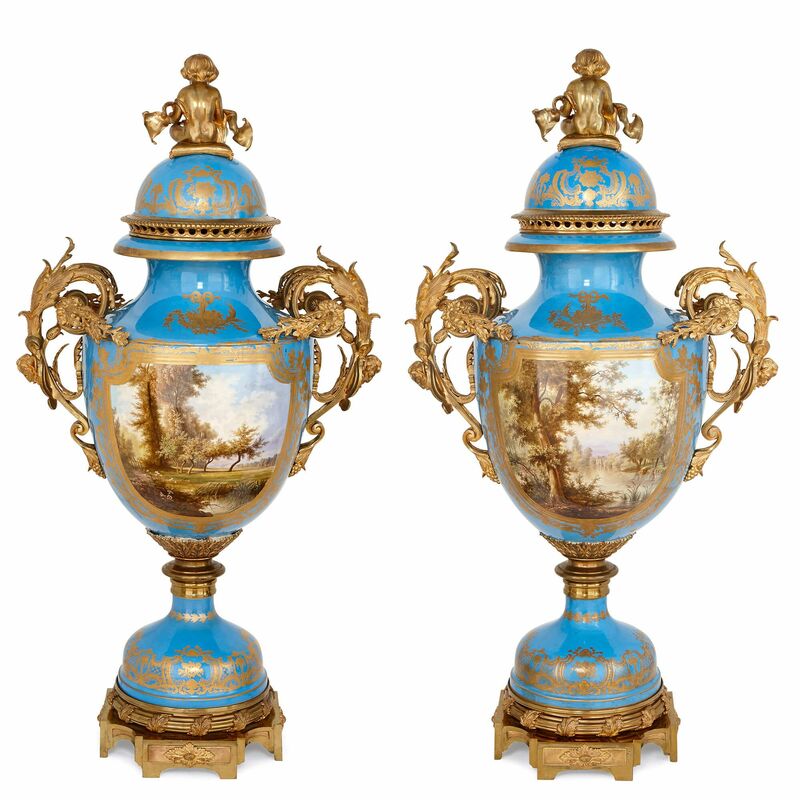 These are an exceptional pair of vases, impressive and grand in stature, and exceptionally decorated to the highest of standards. 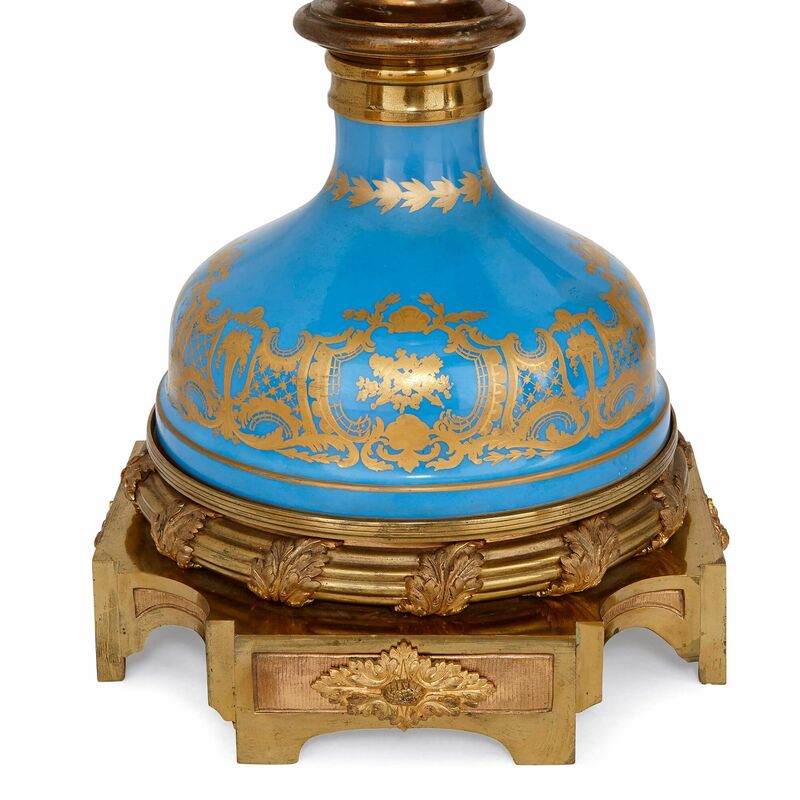 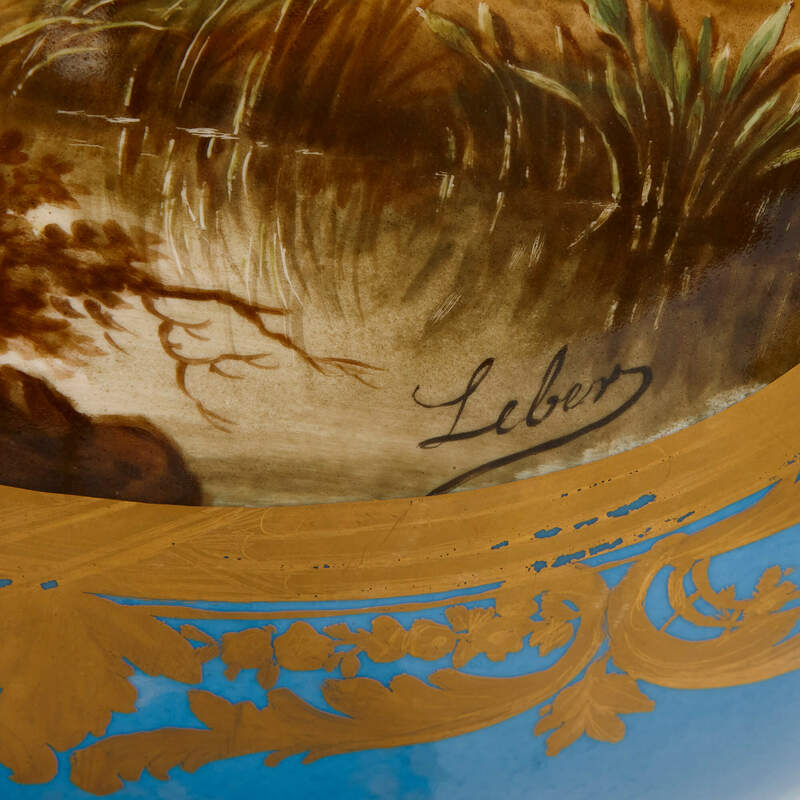 The vases are of goblet form, and feature a striking, turquoise ground highlighted with gilt scrolls and arabesques around the bases and covers. 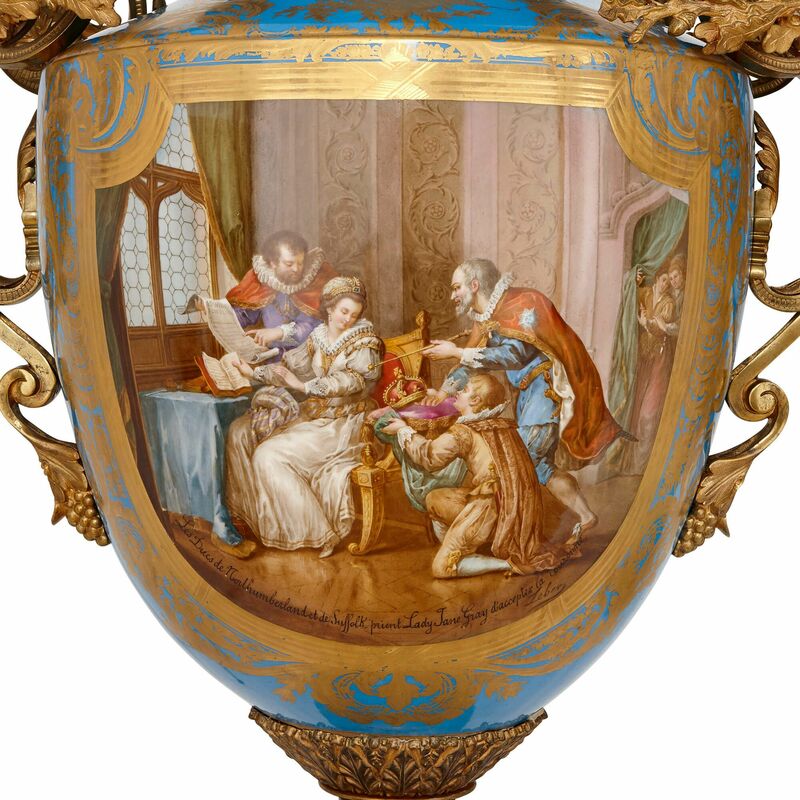 The vases are delicately painted to the front with 17th Century interior scenes of musicians, signed 'Leber', framed within parcel gilt borders. 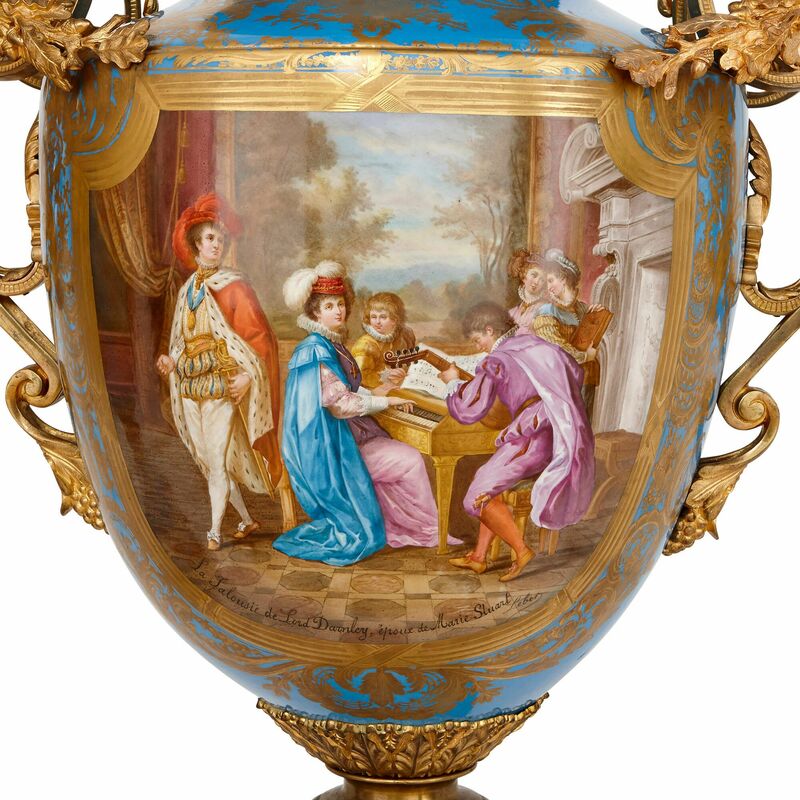 The reverse of the vases are painted with landscape scenes with similar gilt borders. 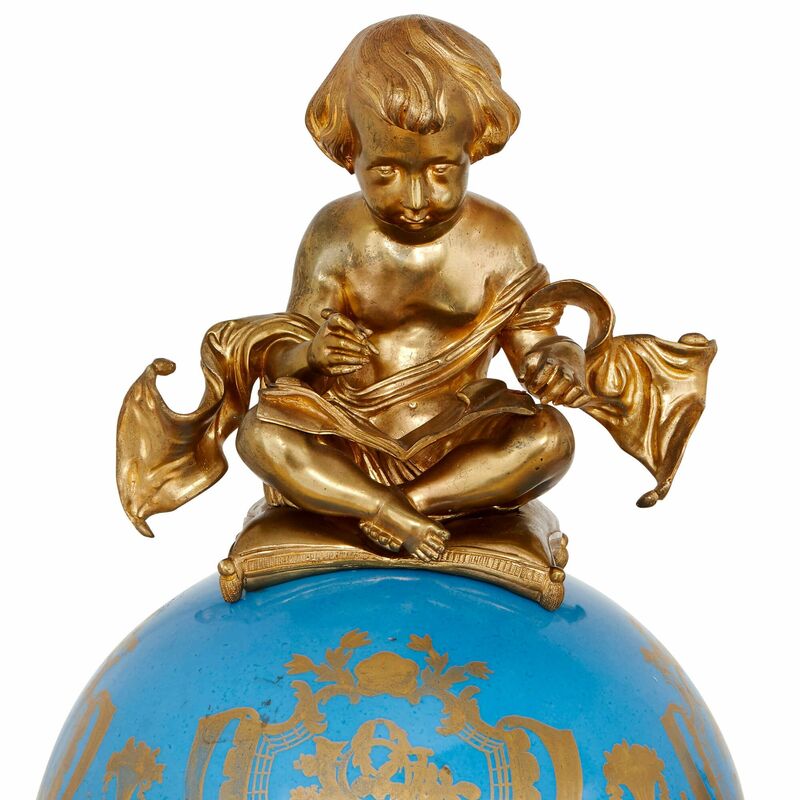 The vases also feature several intricately cast ormolu mounts, with foliate twin handles to the sides and putti holding flowers atop the lids. 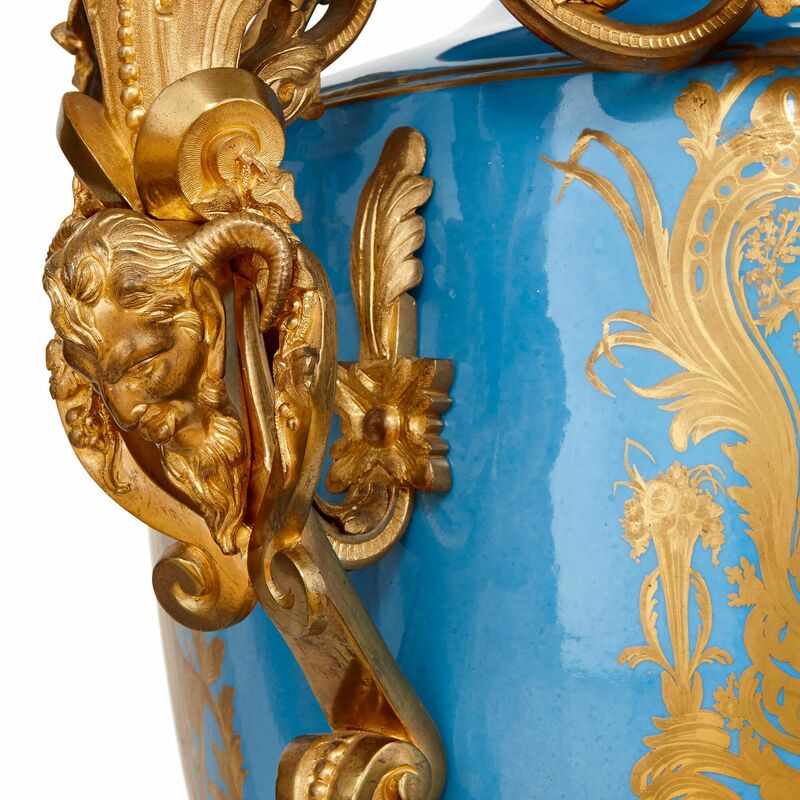 The vases are set onto square-form ormolu bases with canted angles and floral motifs all around, and are impressed with interlaced L marks, synonymous with Sevres.